For the past several years, interns from Colorado schools have helped CIVHC with some of our largest projects. During the summer of 2018, two students from the LEADS Program at the University of Colorado’s School of Medicine in Aurora have been working to develop methodology for a Total Cost of Care at the End of Life study, led by Kristin Paulson, VP of Research and Innovation. Lakshmipriya Karamsetty and Marcus Marable came to CIVHC in the midst of their studies. Lakshmi is from Colorado Springs and majored in Molecular Biology with a minor in Leadership and Business. Marcus was a double major in Biology and Economics, specializing in Cancer Biology, and came to Colorado from Phoenix, Arizona. Both Lakshmi and Marcus credit their experience at CIVHC with sparking their interest the intersection of health care and business. Lakshmi plans to finish med school and her residency and works on ways to bridge the gap between business and health care by taking what patients say and relaying it to the system on a macro level. Marcus is torn between two paths for his future. He’d like to move into either oncology or internal medicine and economics. Regardless, his time at CIVHC has been invaluable for strengthening his foundation in data. The Cost of Care at the End of Life study is using CO APCD data to understand and describe the costs associated with dying in Colorado. To develop the best way to proceed with the analysis, Marcus and Lakshmi examined the existing literature on using large data sets and had extensive conversations with Kristin and CIVHC Analyst, Paul McCormick, about the research questions being asked and how best to answer them. The methodology they developed includes aligning with information from the Colorado Death Registry to determine the Coloradans over 18 who passed away during a specific timeframe and eliminate those who died from traumatic causes. CO APCD claims data will then allow analysts to investigate the costs associated with the individuals in the cohort who received palliative care prior to passing compared to those who did not. The ultimate goal of the study is quantify the savings connected to palliative care and make the case for stronger reimbursement policies. CIVHC has enjoyed having Marcus and Lakshmi in the office and we are incredibly grateful for all of their hard work. We wish them all the best and hope to continue working with them in the future. Interested in interning with CIVHC? 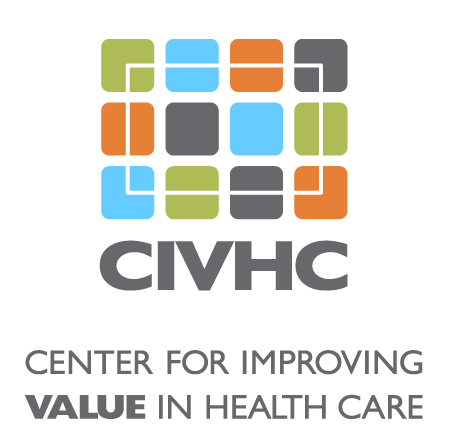 Email info@civhc.org for more information.